Declaration of Conformity (Declaration of Conformity GOST R/ Technical Regulations) is a document which confirms that the product satisfies all the safety requirements. The declaration of conformity is required before launching the products on to the Russian market. Feature of the Declaration of Conformity: the recipient of Declaration can only be a Russian legal entity. 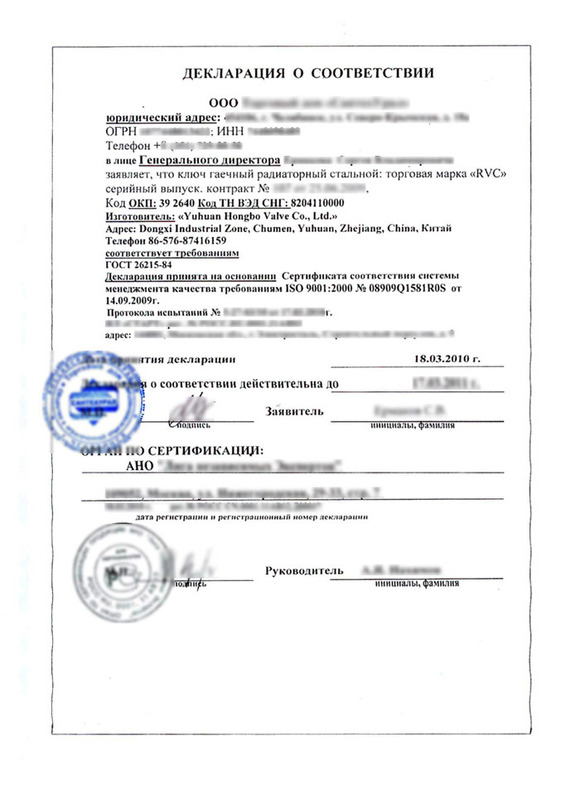 This may be the Russian buyers/customers of foreign goods, importers or legal entities in Russia registered as organization representing the interests of the foreign producers (ie, authorized dealers, distributors). A Declaration of Conformity is given for a period of 1 year to 5 years. – descriptive memorial of the production (technical passport, catalogue, instruction, label, photo). If the products you are applying certificates for already have some kind of certification in your origin country or somewhere else it will be of great advantage if the existing certificates/products sheets etc. are attached to the application. Russian companies, which are listed in the declaration, should be responsible for the products quality within Russian Federation, and is bounded to accept claims, complaints and appeals related to the quality of the product. «ROSTEST» provides services on behalf of our clients to obtain declarations of conformity. We will help our clients to organize and carry out the work on processing the Declarations of Conformity for the different products needed to be certificated. To obtain the Conformity Declaration GOST R as well as information about the time of processing, costs and list of documents which are needed to obtain these certificates, you must provide information about your product.